The Secret of Chanel No. 5: The Intimate History of the World's Most Famous Perfume by HarperAudio at Spring Brook Audio. Hurry! Limited time offer. Offer valid only while supplies last. Every minute, someone buys an Art Deco-inspired, amber-hued bottle of Chanel No. 5 - to the tune of more than half a million bottles a year. Every minute, someone buys an Art Deco-inspired, amber-hued bottle of Chanel No. 5 - to the tune of more than half a million bottles a year. Considering that nearly 90 years have passed since No. 5's creation, this statistic alone makes a compelling case for the perfume's stature as the world's most famous. However, its cultural impact might be even more staggering than its business success: Andy Warhol's silk-screened version of bottle helped to make its image iconic; Mitch Ryder's "Devil in a Blue Dress" famously wore it; and, when Marilyn Monroe was asked what she wore to bed, she replied, with more than a hint of flirtation: "Why, Chanel No. 5 of course." Adding to the perfume's prestige, some of the most glamorous actresses of our age, including Catherine Deneuve, Nicole Kidman, and Audrey Tautou, have been its official face. We all know the story of Coco Chanel, but how much do we actually know about her signature perfume - a fragrance that has enjoyed remarkable success for nearly a century? The Secret of Chanel No. 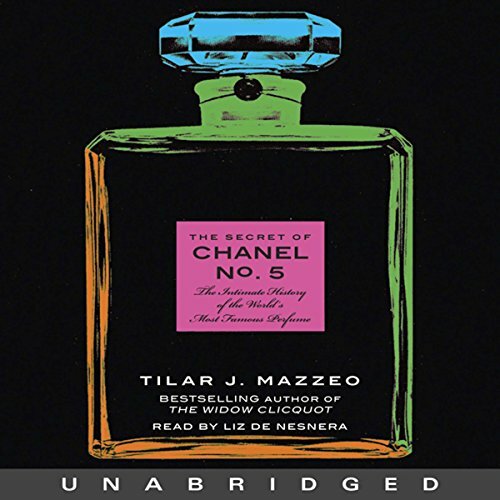 5 is the story of Tilar J. Mazzeo's far-ranging and often quixotic search to discover the answer - and of the fascinating detours into the history of perfume that come from asking the question: What is the secret behind No. 5's creation, iconic status, and extraordinary success?